Feminist theory has been an emphatic voice in determining that there is no singular history: from Linda Nochlin’s seminal essay, Why have there been no great women artists? (1971), to work by intersectional scholars such as bell hooks, who continue to challenge concepts of power, politics and subjective agency. Nochlin, together with other revisionist art historians, expose the institutional, economic and socio-political reasons for women’s exclusion from the art world, and consequently from art history, seeking to expand the canon of art beyond a chronological story about celebrated Western male artists. Furthermore, intersectional theorists have turned the lens of scrutiny on feminist theories themselves by challenging the linear, singular narratives of feminism by emphasising how race, gender and class interweave to impact on access, representation and inclusion. In its acknowledgment of mutual diversities, intersectionality also highlights the exclusionism of history by contesting the myth of meritocracy. It stresses that a meritocratic system sees exclusion as deriving from within the individual, ignoring the impact of external structures of power and dominance. Perspectives of history which emphasise complexity by foregrounding diversity rather consensus, can be useful in the interrogation of the future. Just as we’ve learned that history is a partisan set of narratives that mistakenly reinforces the idea that the past can be synthesised into a single chronology, so too the future is a contested zone. The concept of futurity recognises the future as having a complicated interrelation with the past as encountered in the present. Futurity offers a potent resource for re-visioning the future by asking questions about who, or what, are the agents of cultural change, and at whose expense is the future purchased? Of particular significance are questions related to the way in which the future’s cultural roots are determined. For instance: whose future gets to be the future? Who is empowered and legitimised and who is excluded? Speculative visions of alternate futures must acknowledge that there is no singular future destiny that will be shared by all. We who are about to… is intended to be part of a generative force that actively engages with developing new futures. It explores the ways in which art can provide a productive, critical space where future visions can be rehearsed and offer different perspectives, ways of seeing and understanding, by revealing our present states of being and sharing alternatives for our futures. Questioning our future through revisionist planning we become simultaneously aware that the future always eludes our grasp. Rather than predicting the future, the dialogue of this project unfolds through aesthetic, analytical and collaborative processes, establishing a space in which to consider how we counter social, political, geographical and economic turmoil with visionary futures of new cultural, aesthetic, ideological and political processes. 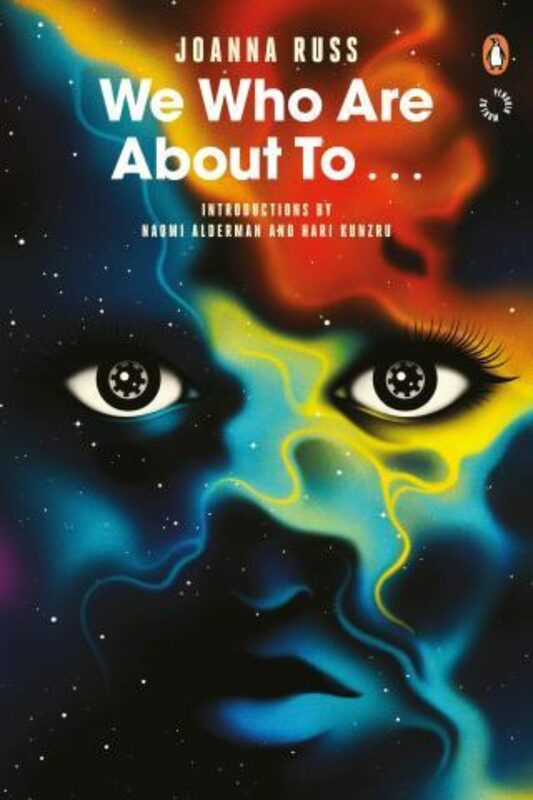 The project takes its title from the 1976 feminist science fiction novel by Joanna Russ: her story pivots on themes of inevitability and speculation, existence and meaning. Although written in the mid-70s the novel offers a social critique that resonates with political relevance in 2018. Russ’ novel is of particular significance to this project in provoking urgent debate around our current uneasiness about the future, by providing opportunities to explore and negotiate possible avenues in our understanding of the future. Russ’ protagonist challenges traditional notions and beliefs about gender, highlighting the fact that women’s testimonies are so often regarded as worthless and untrustworthy. The novel is narrated by an unnamed female whose words are spoken into a device called a vocoder. She and her traveling companions are stranded on a barren planet with no possibility of rescue. While the others delude themselves with visions of colonies and utopian societies, the narrator refuses to give in to demands of forced breeding. In her audio diary, which she records believing it is unlikely to be heard, she recounts the struggle of her sense of self as her dissenting voice threatens the dominant view. Her voice lacks credibility in the group, is unable to eclipse her companion’s delusionary ‘groupthink’. Who is heard and who is validated? These questions underpin the history of women’s rights, which can be considered in part as a history of silence and breaking silence. The urgent debate around women being routinely silenced has been reinvigorated more recently by Mary Beard’s Women and Power (2017) in which the author traces the silencing of women in public life from its roots in classical antiquity. These ideas are raised in parallel to the regiments of women describing their experiences of sexual harassment and assault that have used consciousness-raising tactics such as #MeToo, #BlackLivesMatter and Time’s Up. These recent and highly publicised acts of resistance are a repudiation against patriarchal structures that assume women’s bodies and labour are at the service of somatic capitalism. The work of the artists Lucy Beech, Emma Finn and Peel Eezy (Gemma Crook and Mina Heydari-Waite) contribute to this critical opportunity by imagining alternative modes of being that are potentially politically transformative. They call attention to feminist issues such as the relationships between production and social reproduction, feminised labour, female voices and issues of exclusion or under-representation. These artists engage with future orientated approaches that propose alternative fictions and futures directly linked to our everyday lives, and that offer opportunities to define and inhabit social change. While the focus of the artworks ranges from personal futures to the economies and institutions of art and language, they each demonstrate a distinct need to form new cultural, ideological and political templates for the future. Lucy Beech’s work engages with feminist discourse in a liminal space where documentary meets re-enactment and becomes fiction. Beech’s films focus on female group dynamics and are both a celebration of female agency as well as a critique on how this agency can be limited and curtailed. In her films she highlights how the opportunities for women to develop their own voices and enact their political agency is all too often exploited under patriarchal structures that relentlessly commodify women’s bodies and opinions. Her films are mediations on consumption, in particular emotional capitalism, in terms of how economic and emotional spheres have become inextricably intertwined. In a world where the self has become a construct or commodity, and where interpersonal relationships are infected by corporate rhetoric, the women portrayed are all searching for meaningful connections to others. However, the connectivity that they seek within the work environment, an all-female support group, or online communications, are revealed to be simultaneously empowering and disavowing. Visions of a future self are central to the female characters in Beech’s films. In particular, the relationship between the attained self and an imagined future self is examined through the role of social contexts. Future self-concepts, or possible selves, reflect a person’s goals, aspirations, hopes, fears and threats. In her films she addresses the fact that for so many the future is riddled with uncertainty, fear and anxiety. She also confronts the inevitability of death, the ultimate foreshortened view of the future, the belief that “I might not be here tomorrow”. She also explores ideas around illness with characters whose portrayals of future possibilities are chronically limited and who seek expansive and future selves through digital technologies—things will get better with enough data, the right algorithm or this breakthrough gadget. Importantly, though Beech suggests one’s momentary self is confronted with the possibility of a better future self, the ‘ultimate’ future self is never attainable. Emma Finn’s digital films sit somewhere between reality and invention and reflect how technology allows us to create our own private heterotopias—sites which are embedded in aspects and stages of our lives and which somehow mirror and at the same time distort, unsettle or invert other spaces. She treats history as ideas cut short and abandoned, strands ready and waiting to be reimagined. Her films deal with how we communicate with one another and she conveys the difficulties of this by destabilising narratives through the disruption of time and space, language and form. Of particular significance in her work is gesture which is grounded in its uneasy relationship with technology: for example, we might think of recent advances in gesture technology that allows users to interact with their devices without ever touching the device itself. 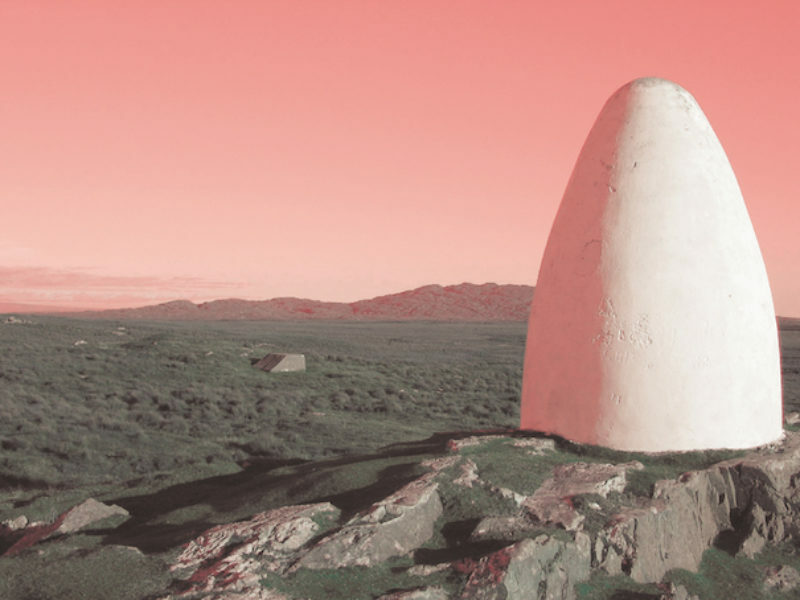 By investigating the ways in which we conceive of the future and recontextualise history in the now, Finn’s work speculates on the convergence of media technologies and communication mobility. Underpinning her work are ideas about women and the act of worlding. Worlding, according to the philosopher Martin Heidegger, means the opening of new ways of being in the world, of being in time and history. This concept has been extended by Donna Haraway who refers to worlding as the co-operative and conflictual ways of world-making in which different species, technologies and forms of knowledge interact. Finn considers some of the complexities through which our feeling of belonging occurs. Key to this is the process of worlding, our contribution towards the making of our own worlds. Peel Eezy is the collaborative practice of Mina Heydari-Waite and Gemma Crook. Their work encourages us to reflect critically on hierarchal institutions and art as commodity by proposing visionary futures of new cultural, aesthetic, ideological and institutional processes. They present possibilities for future imaginings that focus on access to art institutions, artist-run spaces and art education, creating a brand of future imaginary art institutions—part shop, part academy, part gallery—within which they explore the future as a dynamic context in which established traditions (and more experimental forms) of display and performance interact. Key to Peel Eezy’s work is the examination of the production of the future through the interplay of economy and culture: this enquiry is supported by the increasing pressure being brought to bear on institutions—a result of the consequences of neoliberal ideologies and the uninhibited expansion of consumer culture. Their work is a strategic gesture that aims to reflect on socioeconomic and institutional infrastructures through art by asking us to consider what kinds of futures do art institutions invoke, constitute, or require by setting up horizons of the possible and impossible. 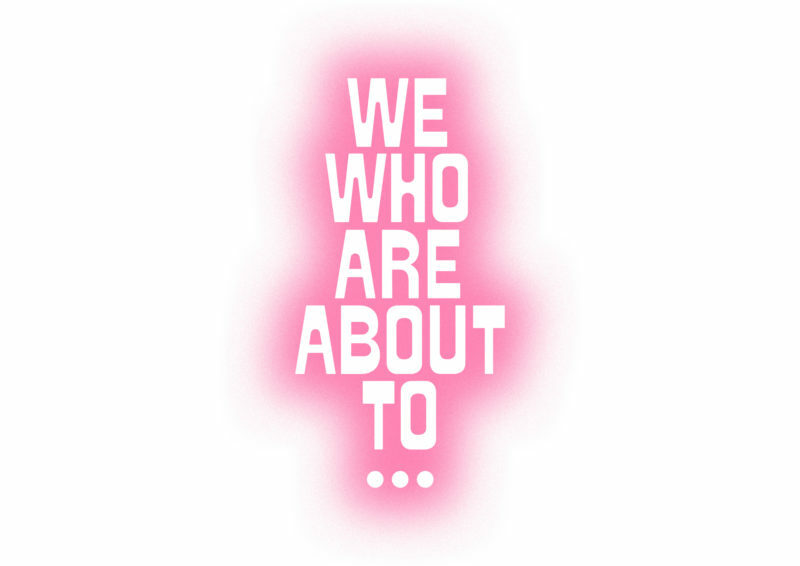 A series of essays to accompany We who are about to… by Anna Bunting-Branch, Nina Power and Helen Hester will be published on MAP online throughout Glasgow International 20 April to 6 May. These essays offer extended frameworks through which to consider the work of Lucy Beech, Emma Finn and Peel Eezy (Gemma Crook and Mina Heydari-Waite), artists who have contributed to the project for GI 2018. In her essay, More generous and more suspicious – Feminist SF as a worldbuilding practice, Anna Bunting-Branch considers the genre of feminist science fiction as a way to examine stories about worlds that have not been told vs. stories told about worlds that have not been or have been refused. Through the work of Joanna Russ, Luce Irigaray and Donna Haraway, she posits the idea that the feminist imagination is under siege in the 21st century by those who abuse power under the influence of dominant hegemonies. Nina Power writes about the ubiquitous and disembodied female voice we hear in the ever-diminishing ‘public’ realm in her essay Soft Coercion, the City and the Recorded Female Voice (2017). She argues that the rise of recordings of female voices is in direct proportion to the absence of representation or recognition of actual women’s interests in the public sphere. In other words, her work suggests there is a tension between different ideas of what it means for a woman’s voice to be heard—the literal and over-heard femmebot voice versus an under-listened to political voice. In her essay, Xenofeminist: Ecologies (Re)producing Futures Without Reproductive Futurity (2016), Helen Hester offers a series of provocations surrounding care, ecology and temporality. She interrogates current discourses relating to ecofeminism, contemporary technologies and theories of work in order to call the 21st century into question as the surface for the projection of future visions and desires. She speculates on the idea that images of the future must be disentangled from ideas about reproductive futurity. Dr Deborah Jackson is Director of Visual Culture at Edinburgh College of Art as well as Director of Equalities. She is a curator, writer, and lead editor for Visual Culture in Britain, a peer-reviewed journal published by Routledge. From 2006-2008 Deborah was co-director of Embassy, an artist-run gallery in Edinburgh. She has also worked as curator/producer for the Edinburgh Art Festival. She is curator of We Who Are About to… MAP’s presentation at Glasgow International 2018.